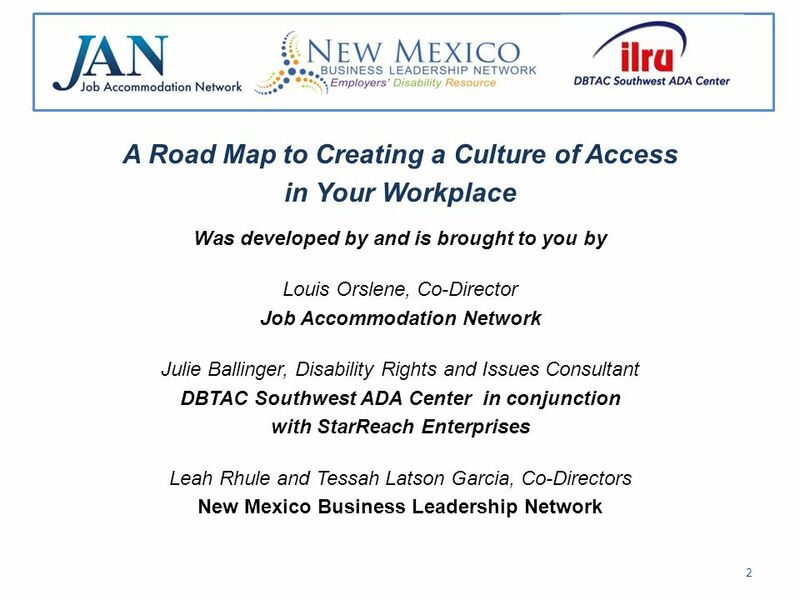 A Roadmap To Creating A Culture of Access In Your Work Place Presented by: Louis Orslene, Co-Director Job Accommodation Network Julie Ballinger, Disability. 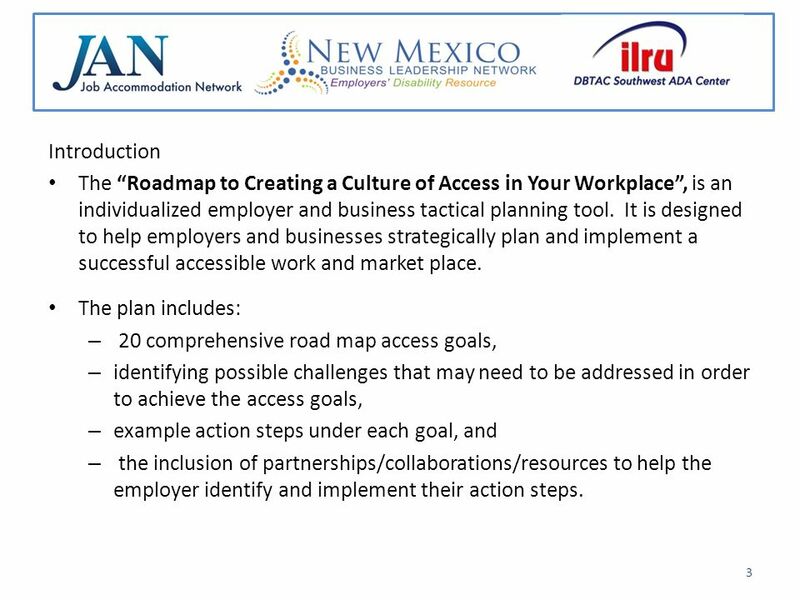 4 Encountering, Identifying, and Meeting Challenges As you work towards creating, implementing and maintaining a Workplace Culture of Access consider the following possible challenges that may need to be addressed in order to achieve your access road map goals. 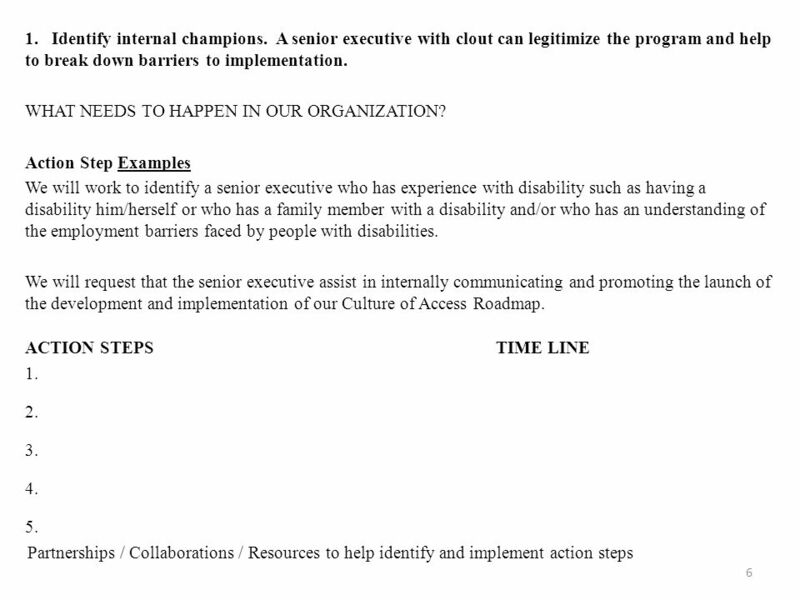 CHALLENGES: Are we motivated and committed to create and maintain a Workplace Culture of Access? –If needed, we will do the following to become motivated and committed. 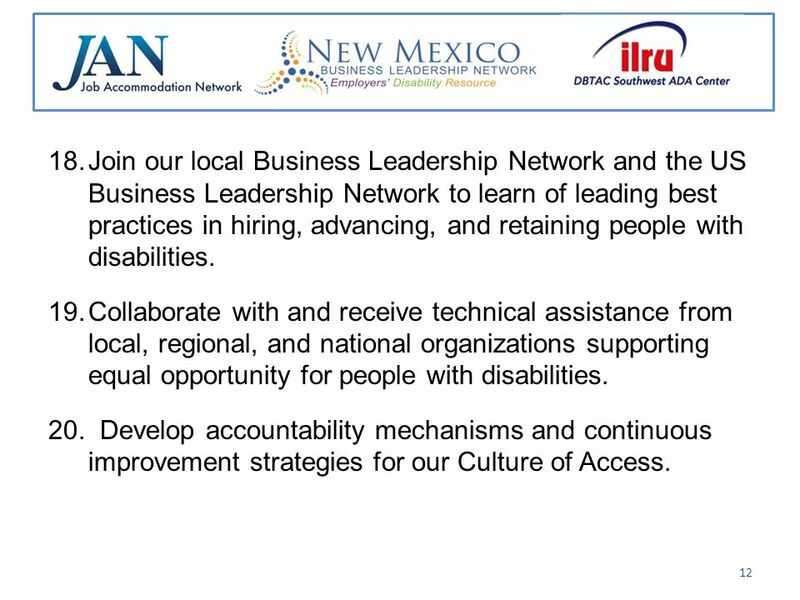 Do we need knowledge and technical assistance to create and maintain a Workplace Culture of Access? We will seek answers and technical assistance to our following questions. Do our present practices, policies, and systems accommodate and promote the creation and maintenance of a Workplace Culture of Access? –The following practices, policies and systems need to be adjusted or changed. 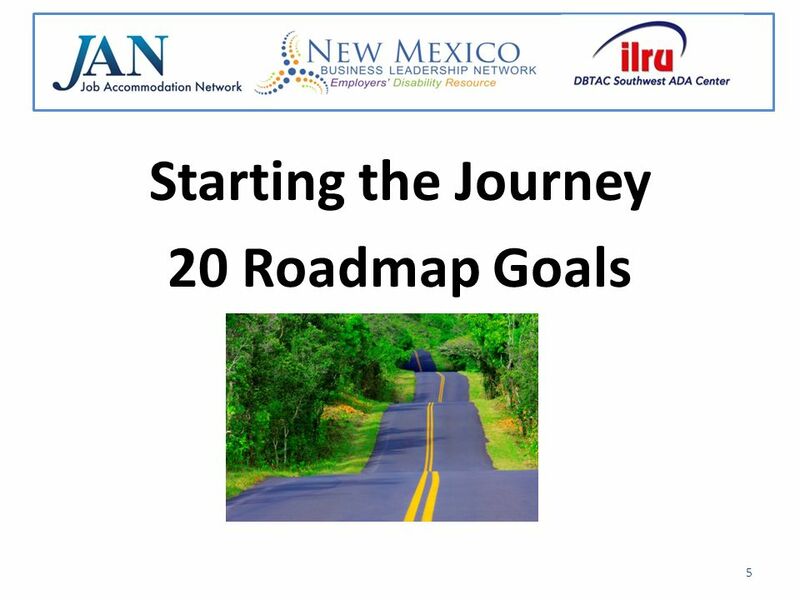 Download ppt "A Roadmap To Creating A Culture of Access In Your Work Place Presented by: Louis Orslene, Co-Director Job Accommodation Network Julie Ballinger, Disability." 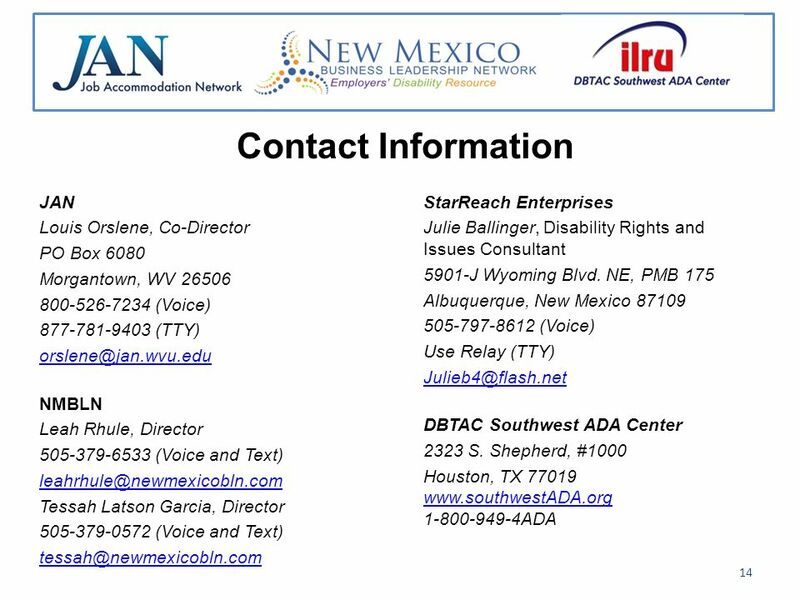 JAN is a service of the U.S. Department of Labors Office of Disability Employment Policy. 1 Service Animals in the Workplace Teresa Goddard, M.S., JAN.
JAN is a service of the U.S. Department of Labors Office of Disability Employment Policy. 1 Understanding and Accommodating Autism Spectrum Disorders in. JAN is a service of the U.S. Department of Labors Office of Disability Employment Policy. 1 Profit by Investing in Workers with Disabilities Louis Orslene. Veterans Issues Veterans issues : How to hire returning injured and wounded service members. Job Accommodation Network 2009/2010 Webcast Series November. 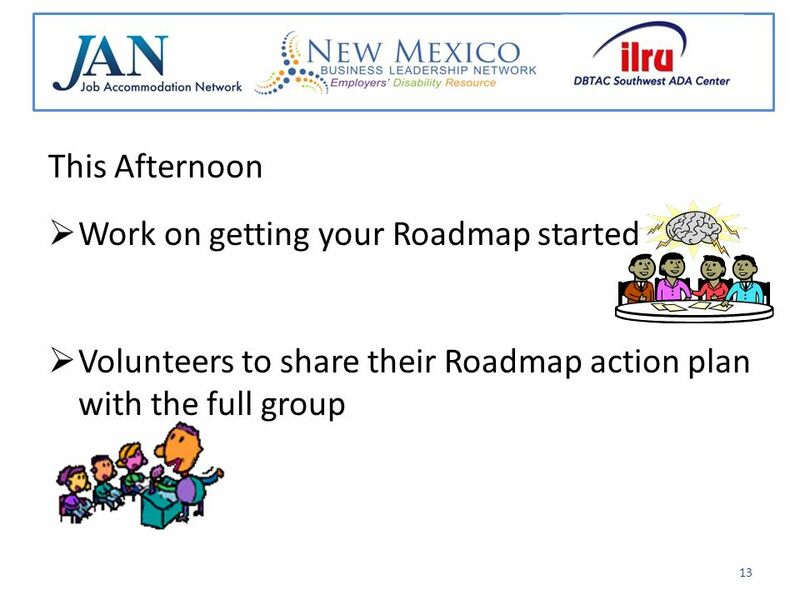 JAN is a service of the U.S. Department of Labors Office of Disability Employment Policy. 1 More Than One Path to the Top of the Mountain: Self- Employment. 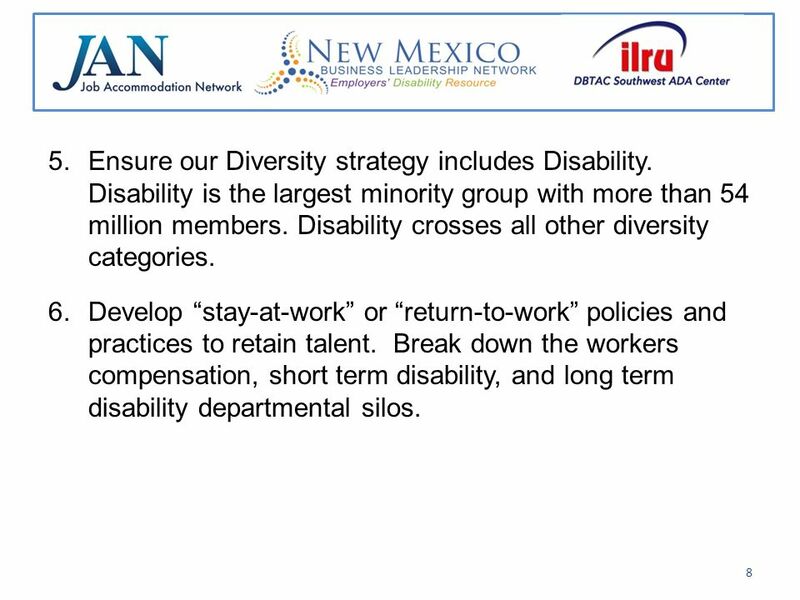 Job Accommodation Network Best Practices in the Employment of People with Disabilities in the Federal Government. 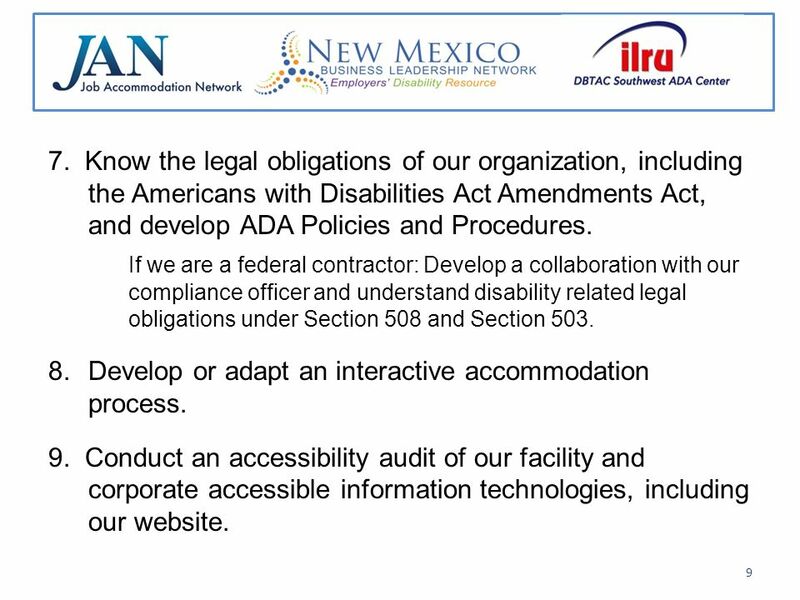 JAN is a service of the U.S. Department of Labors Office of Disability Employment Policy. 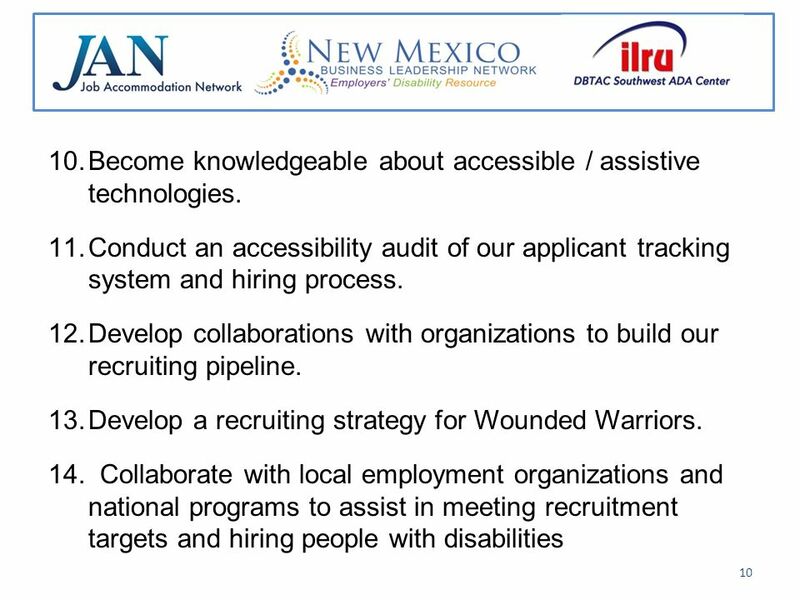 1 Hiring People with Disabilities in the Federal Government JAN.
JAN is a service of the U.S. Department of Labors Office of Disability Employment Policy : Assistive Technology Update Suzanne G. Kitchen, Senior. JAN is a service of the U.S. Department of Labors Office of Disability Employment Policy. 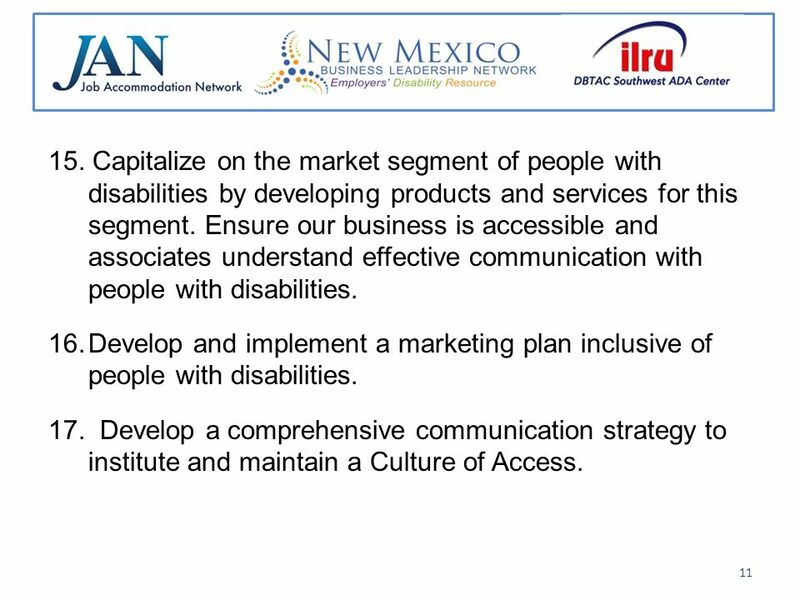 1 Best Practices in the Employment of People with Disabilities. JAN is a service of the U.S. Department of Labors Office of Disability Employment Policy. 1 Creating an Inclusive Workplace and Limiting Risk: Tips for. 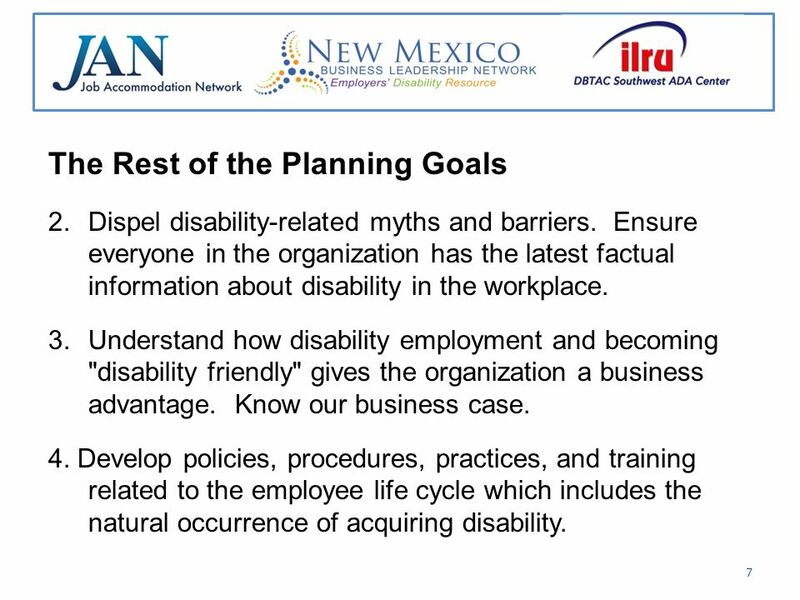 JAN is a service of the U.S. Department of Labors Office of Disability Employment Policy. 1 Medical Inquiry in Federal Sector Hiring and Employment Linda.